Why the giant flourish? No idea, but it clearly prevented me from writing other things on the card that I wanted to write. 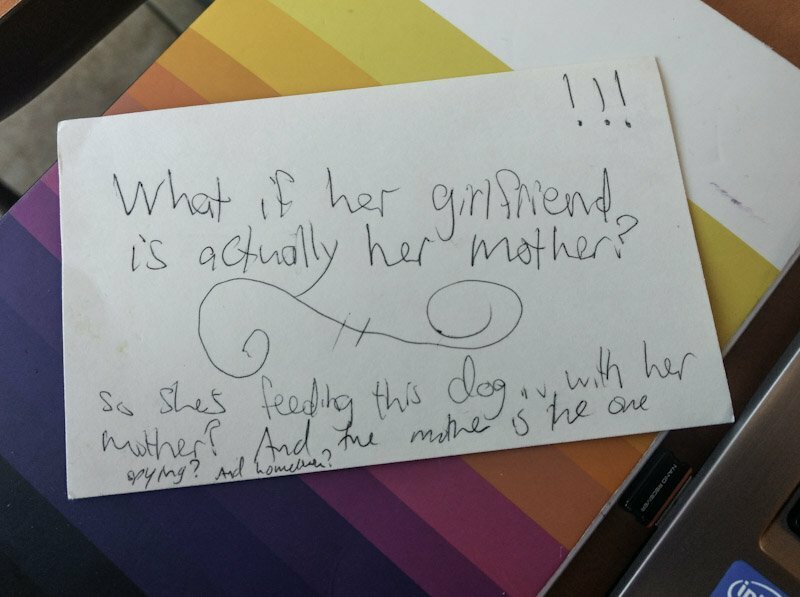 An index card with a story question written on it.